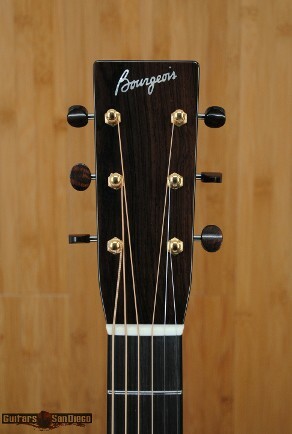 Bourgeois Guitars. From Lewiston Maine to San Diego California, Dana and his team are building some fine intruments for us. 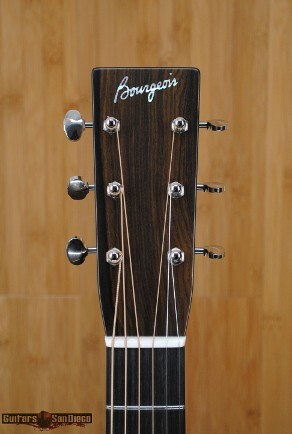 Master luthier, Dana Bourgeois has been building guitars for nearly 40 years. 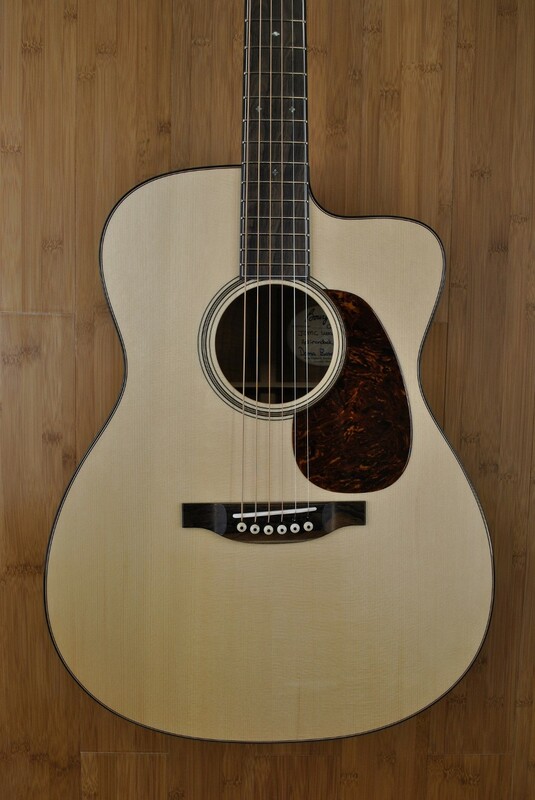 He is known around the world for his superb craftsmanship and as one of the foremost authorities on the voicing, selection and utilization of fine acoustic tonewoods. 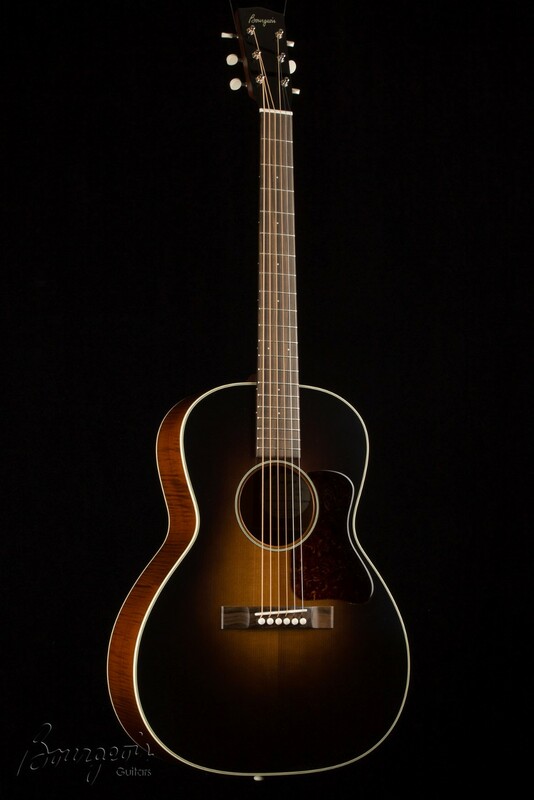 Dana's small, tight-knit group of craftspeople are proud of what they do and work hard to build the best guitars they can. 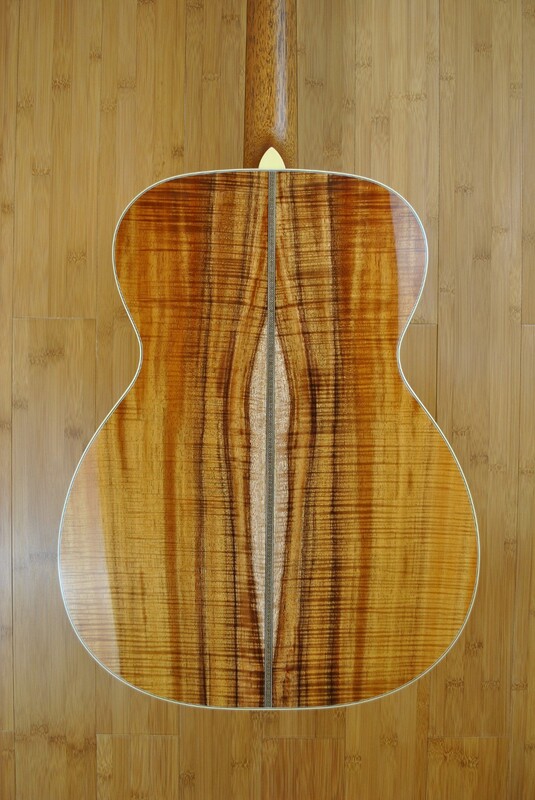 This Bourgeois OM Vintage is just incredible with the Master Grade Koa Top-Back & Sides. 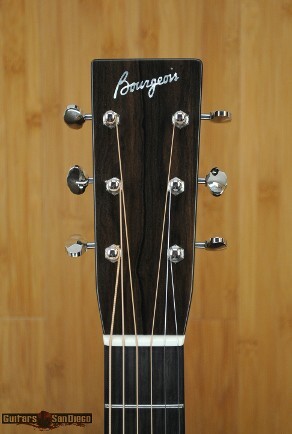 Add the amazing tone to this Bourgeois and well, you have a Master Grade guitar. 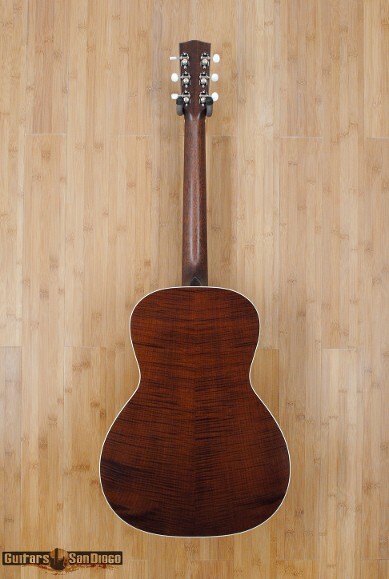 Because of its characteristic superb balance, clarity of voice, and sustaining top register, the OM is often thought of as the quintessential fingerstyle guitar. 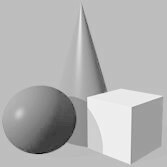 It's not surprising, though, that more than a few players appreciate these same characteristics not only for flatpicking but also for a variety of other applications. 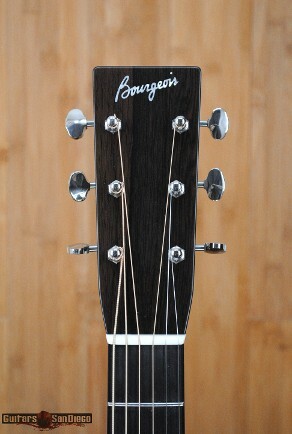 Bourgeois scallops both sides of the X brace on our OM. This provides the ”looseness” required in a smaller guitar to produce a clear, strong bass response, and power and projection that belies its size. 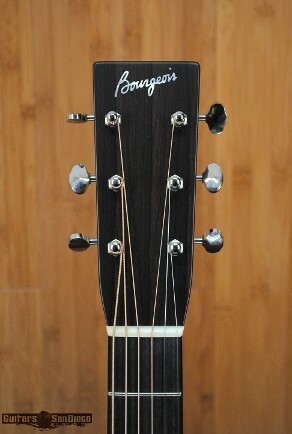 The JOM was the first original body style Dana introduced upon the inception of the Bourgeois production shop, and it remains one of Bourgeois' most compelling. Standing for “Jumbo Orchestra Model”, the JOM takes the contours of an OM body and expands it, creating a larger, more expansive sound while maintaining much of the feel and comfort of an OM. 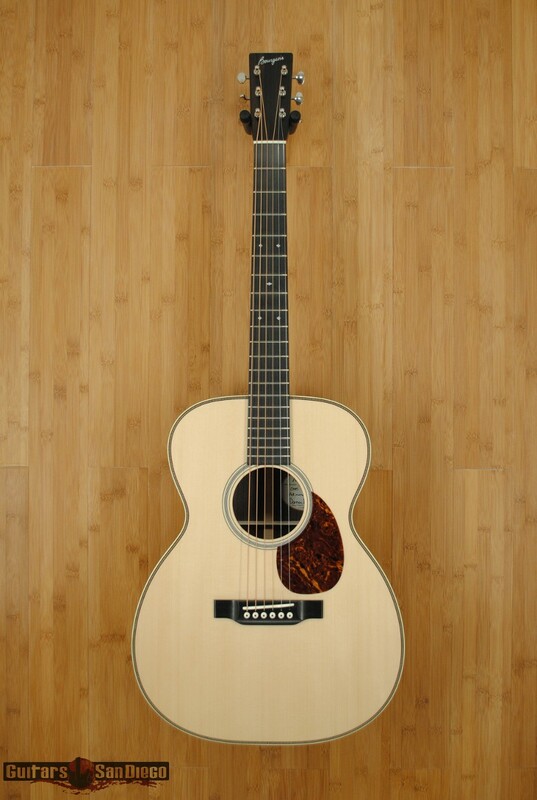 An extremely versatile acoustic guitar, the JOM is ready for anything. 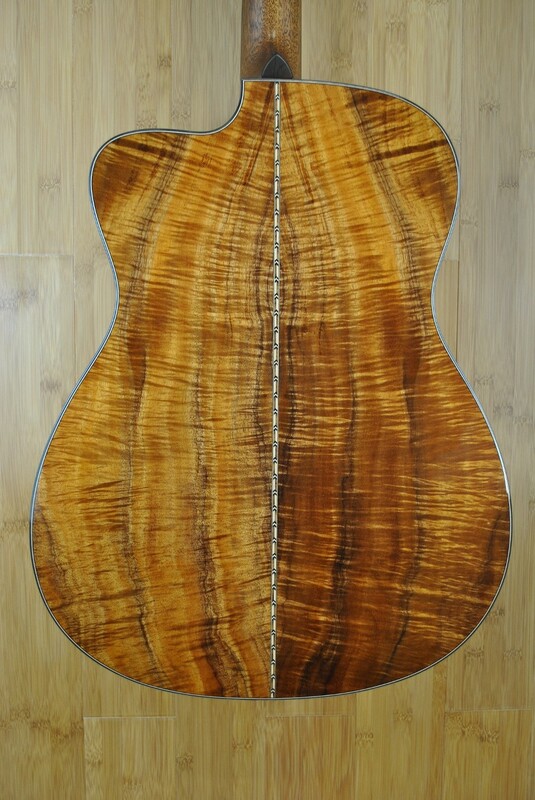 This JOMC is a Wood Deluxe, Master Grade Koa Back & Sides. 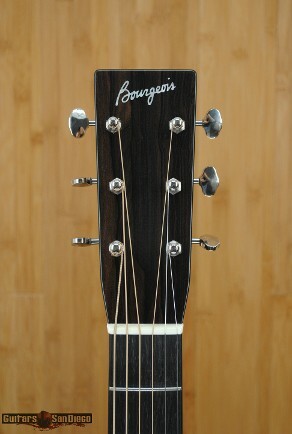 The Bourgeois OM Vintage, 14 Fret 25.5” scale: Because of its characteristic superb balance, clarity of voice, and sustaining top register, the OM is often thought of as the quintessential fingerstyle guitar. 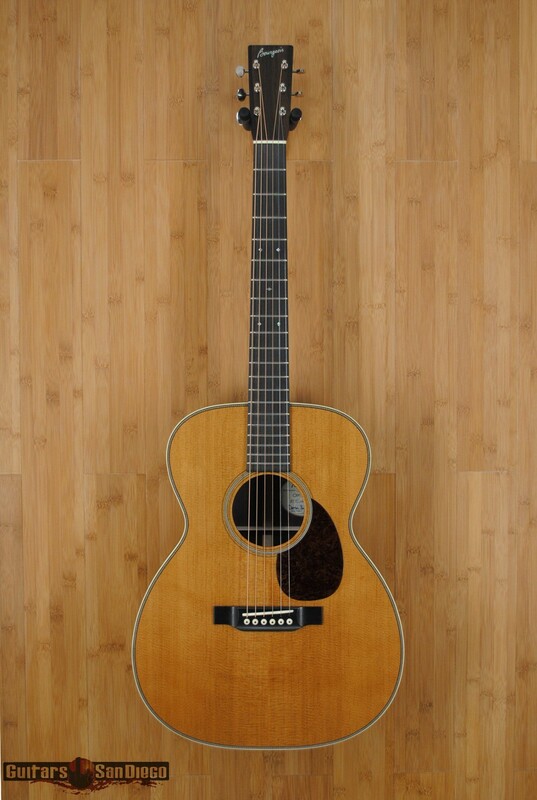 It's not surprising, though, that more than a few players appreciate these same characteristics not only for flatpicking but also for a variety of other applications. 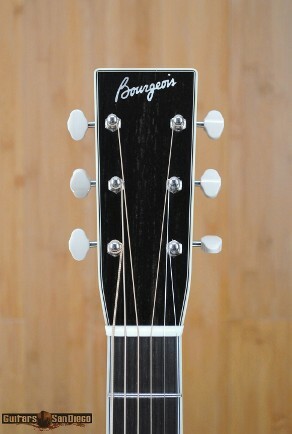 Bourgeois scallops both sides of the X brace on our OM. This provides the ”looseness” required in a smaller guitar to produce a clear, strong bass response, and power and projection that belies its size. 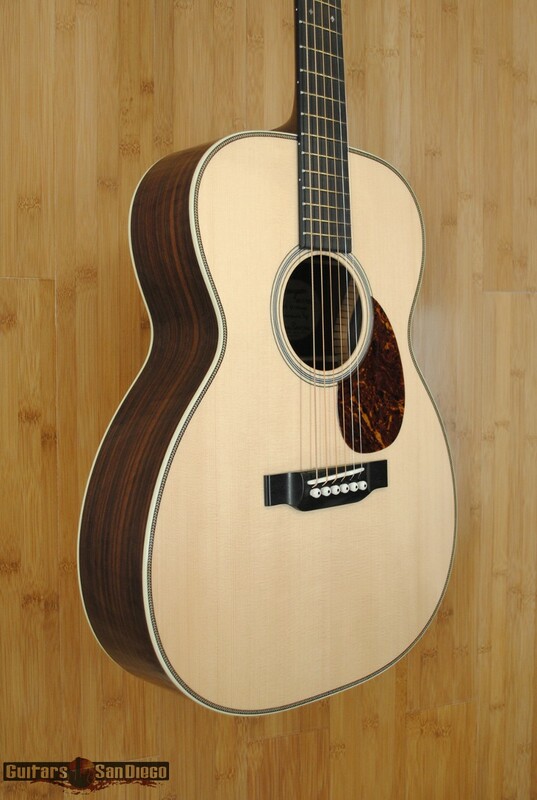 The Bourgeois Advanced Slope D is the dressed up version of the Slope D. It comes standard with a red "Adirondack" spruce top and the back and sides are from their best Indian rosewood. 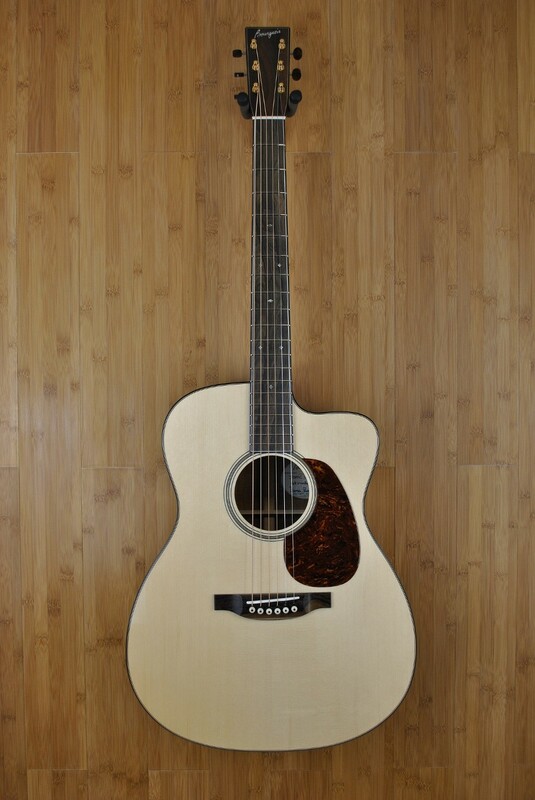 Features include: The original DB Snakehead headstock with an ebony headstock veneer; the Square headstock is a no charge option. Triple bound ivoroid body, head and neck binding, fancy side purfling and the original Dana Bourgeois backstrip. 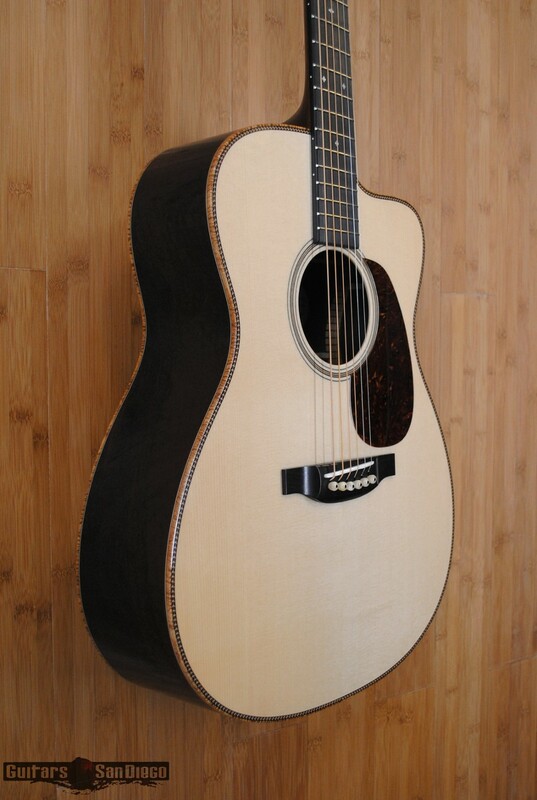 It has an Ivoroid rosette as well as Dana's version of a Floral fretboard inlay made from mother of pearl shell. 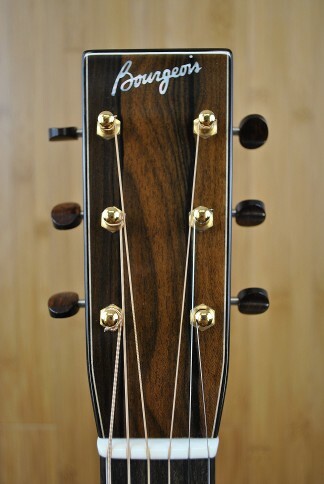 The tuners are Waverly Nickel with ivoroid buttons. 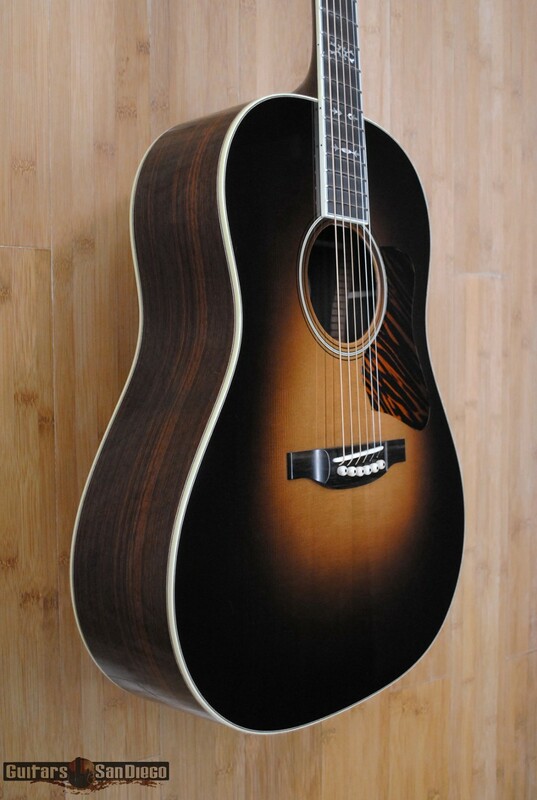 The Slope D style premium firestripe pickguard is standard. 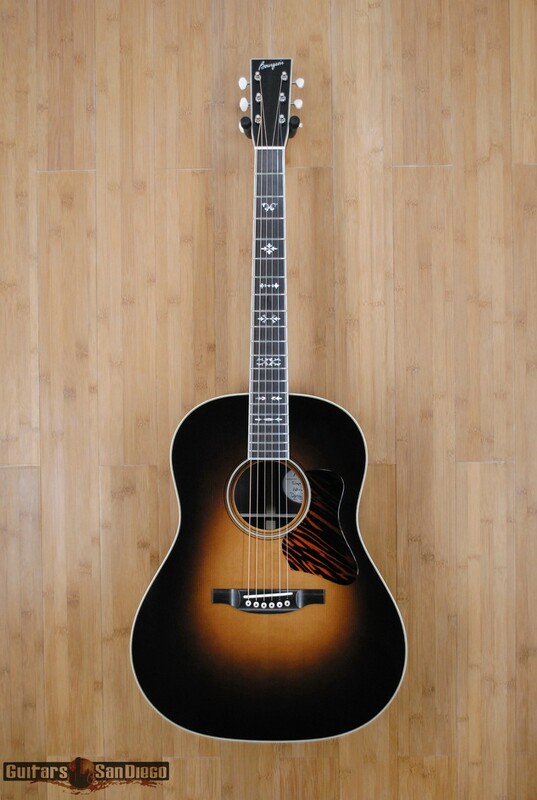 With bone bridge & end pins and the sunburst finish. 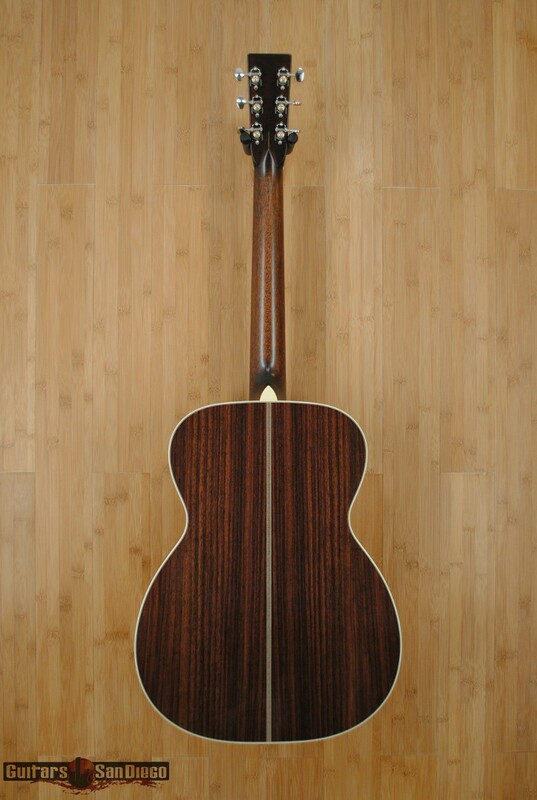 The Slope D happily accommodates a wide variety of playing styles including country, blues, old timey, pop, contemporary, and--you name it. 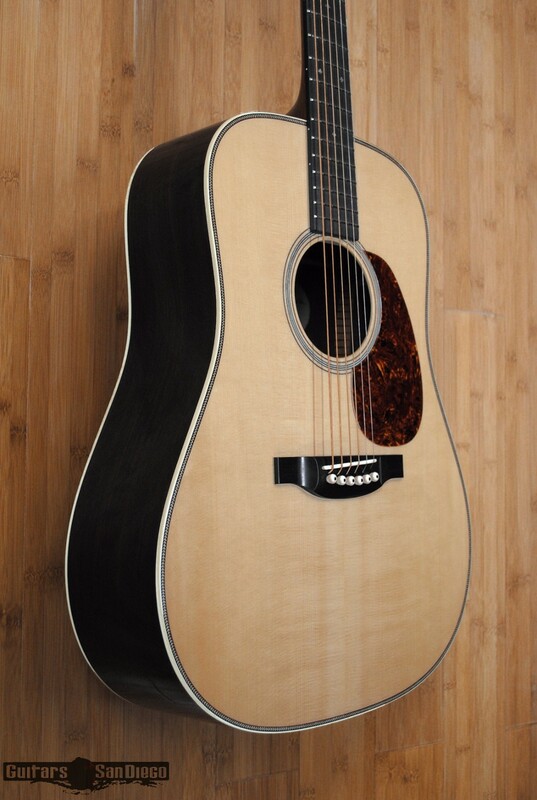 If you're a fingerstyle player looking for a dreadnought-sized guitar that can handle fingerpicks or bare fingers as well as flatpicks, the Slope D is definitely your guitar! Famously hand-sprayed by Dana Bourgeois himself, no two Bourgeois sunbursts are exactly the same, and that's the way we like it. The Bourgeois OM Vintage, 14 Fret 25.5” scale: You can think of the Vintage OM as a smaller version of the Dreadnought--or maybe it's the other way around. Because of its characteristic superb balance, clarity of voice, and sustaining top register, the OM is often thought of as the quintessential fingerstyle guitar. It's not surprising, though, that more than a few players appreciate these same characteristics not only for flatpicking but also for a variety of other applications. 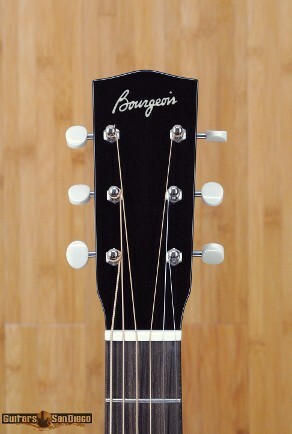 Bourgeois scallops both sides of the X brace on our OM. This provides the” looseness” required in a smaller guitar to produce a clear, strong bass response, and power and projection that belies its size. Aged Tone Sitka with Indian Rosewood. 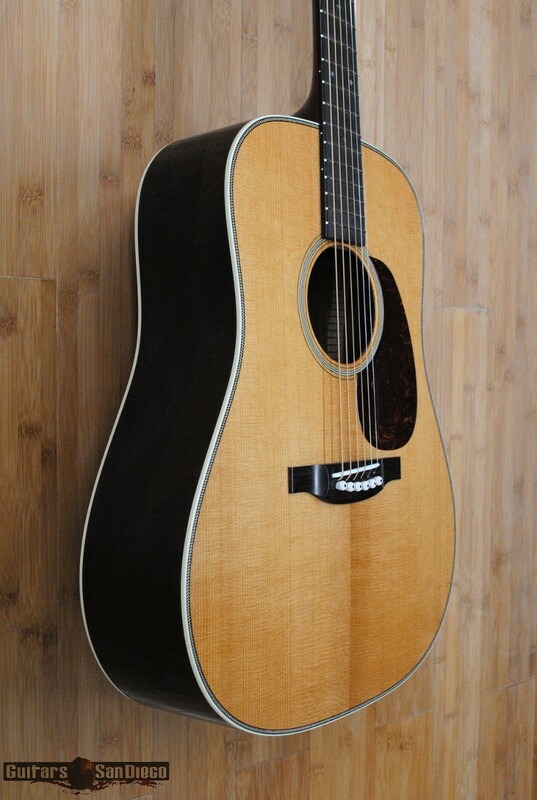 The Bourgeois OM Country Boy, Spruce and Mahogany, perfect. Mahogany has a quick velocity of sound, relatively lightness of weight, and noticeable midrange overtone attenuation. 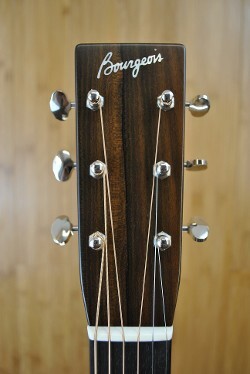 As a result, mahogany guitars have their own sound. 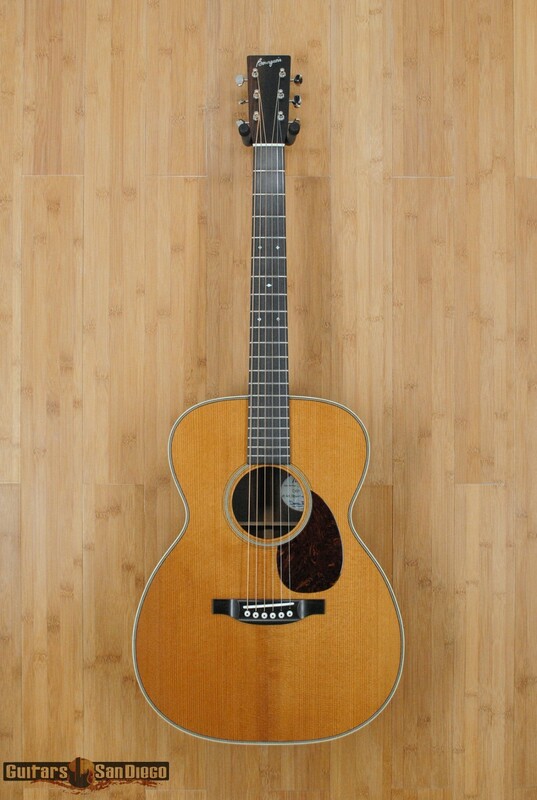 Warm, dry, woody, not particularly complex, but direct, lively, and famously easy to record. 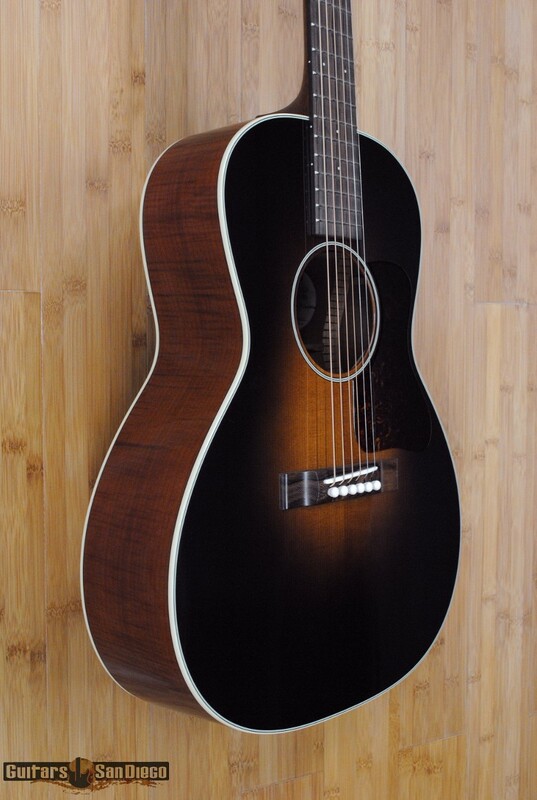 The Country Boy has Bourgeois' classic appointments such as ebony fretboard and bridge, wooden rosette, tortoiseshell binding and nickel Waverly tuners. 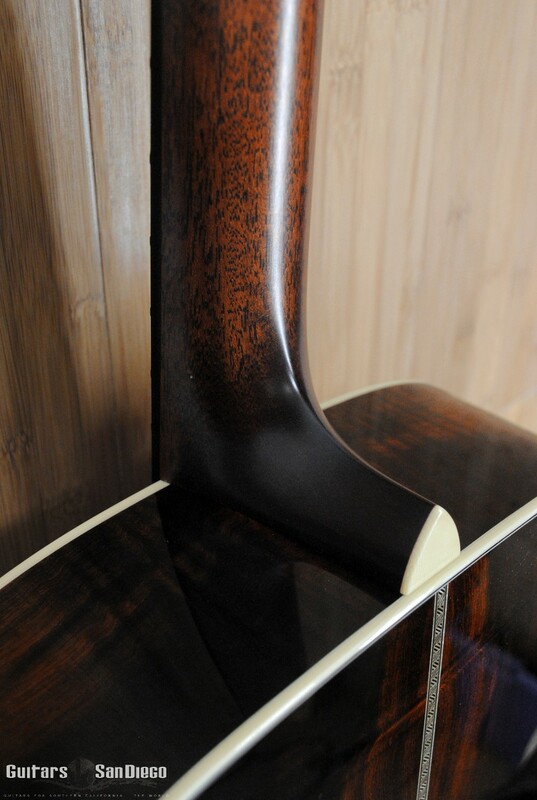 In addition to selecting only the finest quartersawn and matched South American mahogany backs and sides. The Bourgeois OM Vintage, 14 Fret 25.5” scale: You can think of the Vintage OM as a smaller version of the Dreadnought--or maybe it's the other way around. 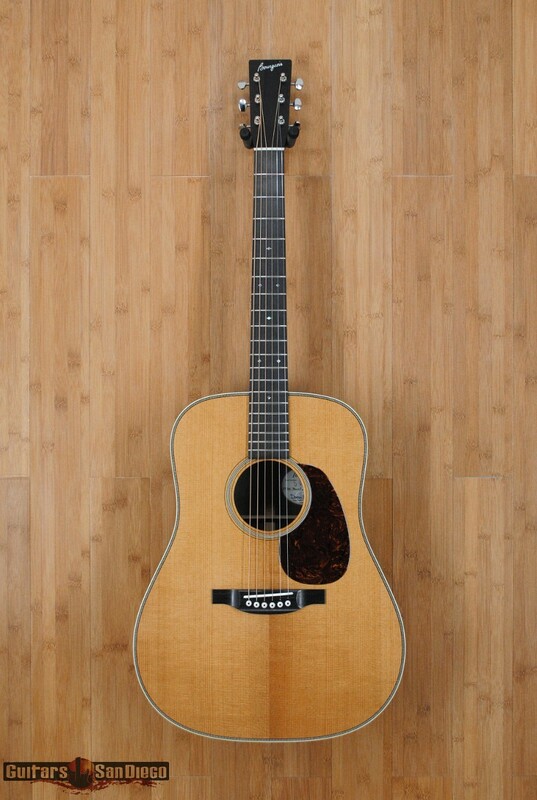 Because of its characteristic superb balance, clarity of voice, and sustaining top register, the OM is often thought of as the quintessential fingerstyle guitar. 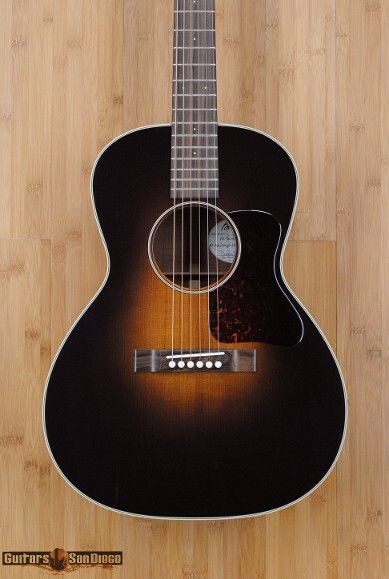 It's not surprising, though, that more than a few players appreciate these same characteristics not only for flatpicking but also for a variety of other applications. 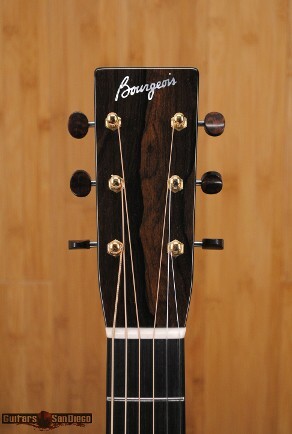 Bourgeois scallops both sides of the X brace on our OM. 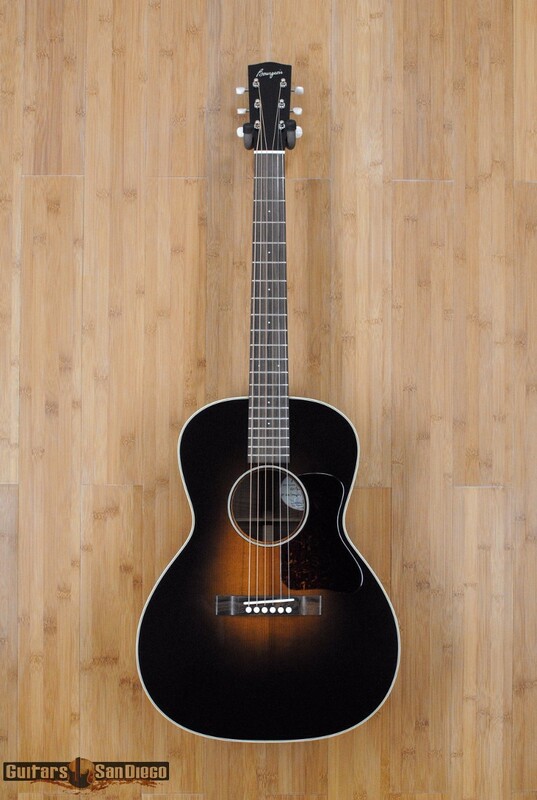 This provides the” looseness” required in a smaller guitar to produce a clear, strong bass response, and power and projection that belies its size. 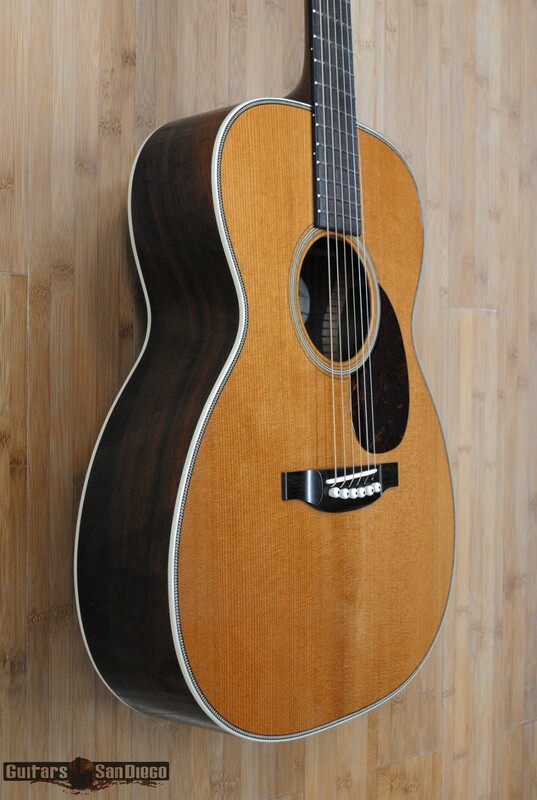 The best thing about the Vintage Dreadnought is that you don't have to imagine what it might sound like if you custom ordered it with an Adirondack spruce top. 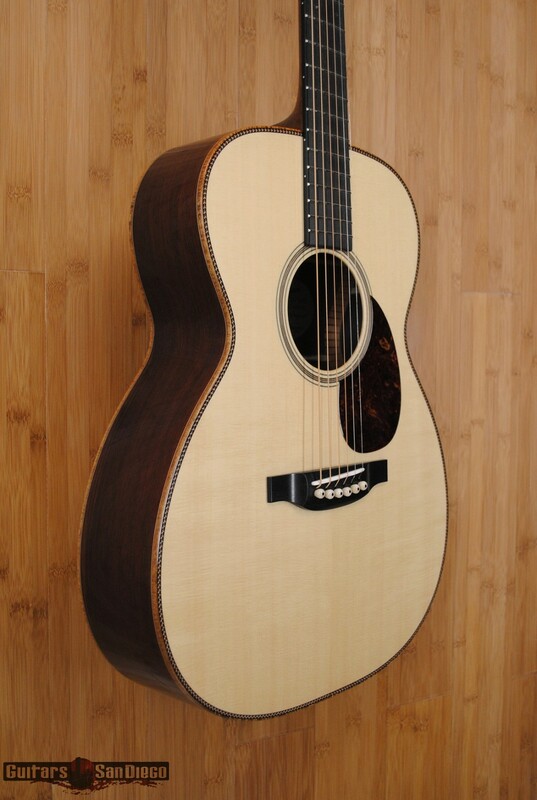 Bourgeois D is the only standard herringbone - style dreadnought that can make this claim. 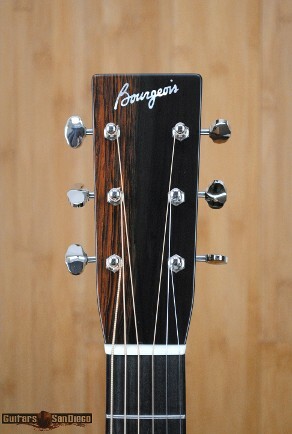 To maintain a vintage look, Bourgeois selects only the highest grade rosewood. 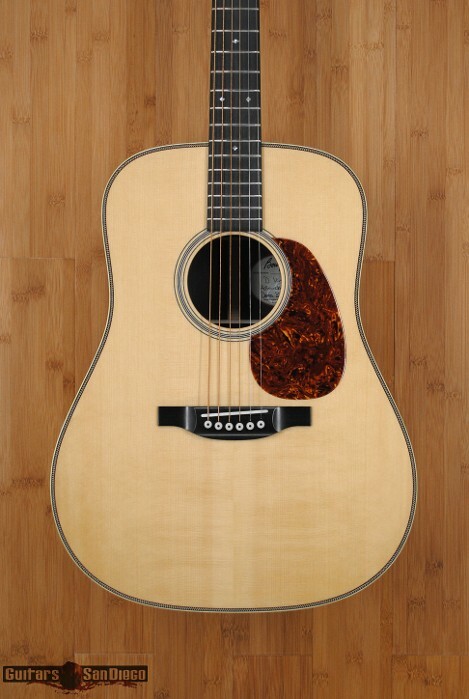 Rounding out the visual package, the Vintage Dreadnought features herringbone top trim, ivoroid body binding, slotted squares and diamonds inlay, premium tortoiseshell pickguard and nickel Waverly tuners. This OM is called the "Signature" for a reason; it highlights many individual design elements that are uniquely Dana's. 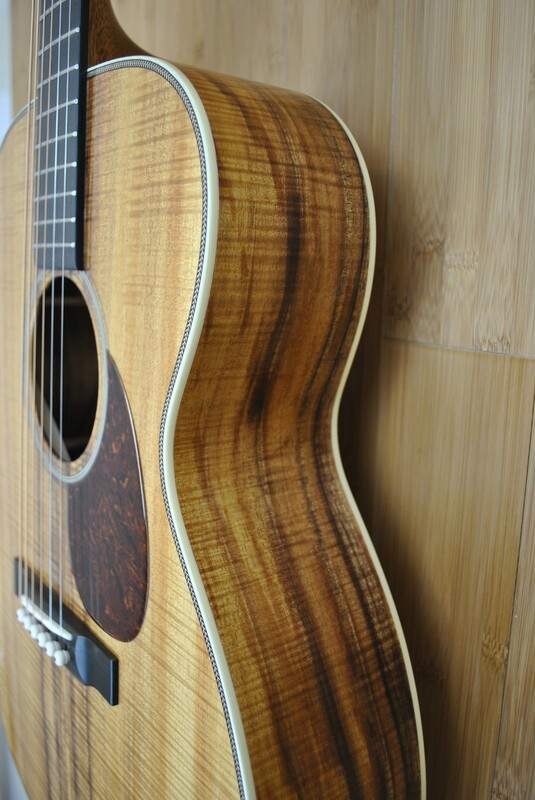 The DB Signature herringbone is a beautiful purfling, unique to Bourgeois featuring 3 alternating woods from dark to light, creating a naturally alluring pattern that compliments the curly koa binding perfectly. The DB backstrip is a similarly unique and elegant pattern. While it can be ordered in any body wood, this combination of design elements was originally conceived to highlight Madagascar Rosewood back & sides, which Dana was an early proponent of as a worthy Brazilian Rosewood substitute. To celebrate the model, a limited run of JOMs in Brazilian Rosewood. These 12 guitars will showcase the “DB Signature” appointments of Koa binding, and other signature features. These 12 guitars will also be offered at a special price that we hope will help get JOM Brazilian guitars into the hands of players! 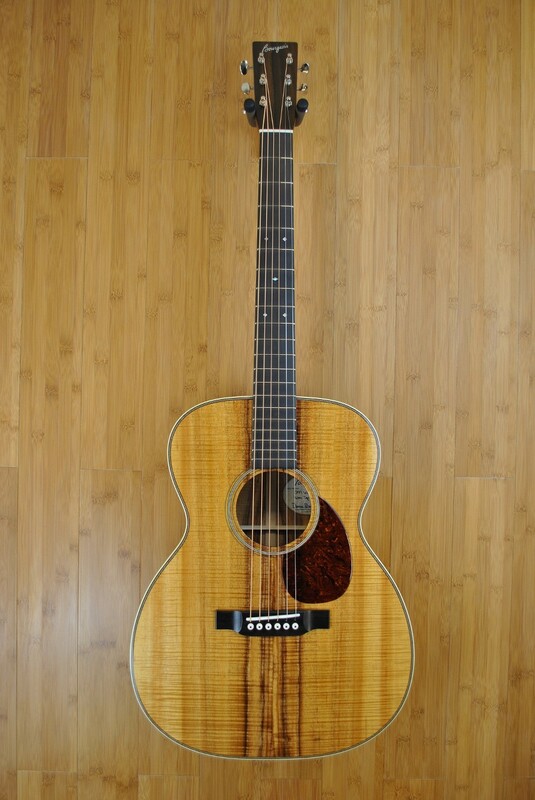 Fingerboard: Ziricote, Short Scale: 25"